Need assistance in getting started? OSHA has you covered. 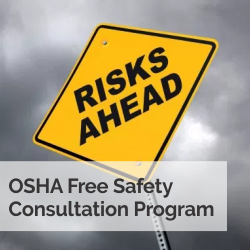 The OSHA Free Consultation program provides you with access to an OSHA consultant who will schedule an appointment with you for a walk-through of your facility. During this consultation, you will receive a pre-inspection conference, a walk-through and a post-inspection conference. Following, the OSHA consultant will provide you with a written report of findings and agreed upon time frame for agreed upon abatement periods. Findings of this consultation will only be reported to OSHA if you fail to correct any serious hazards or situations that present an imminent danger. Learn more about forklift operator safety training, and how Matthai Material Handling can be your source for efficient and effective training.